This new set of printable embellishments is now available in my shop. 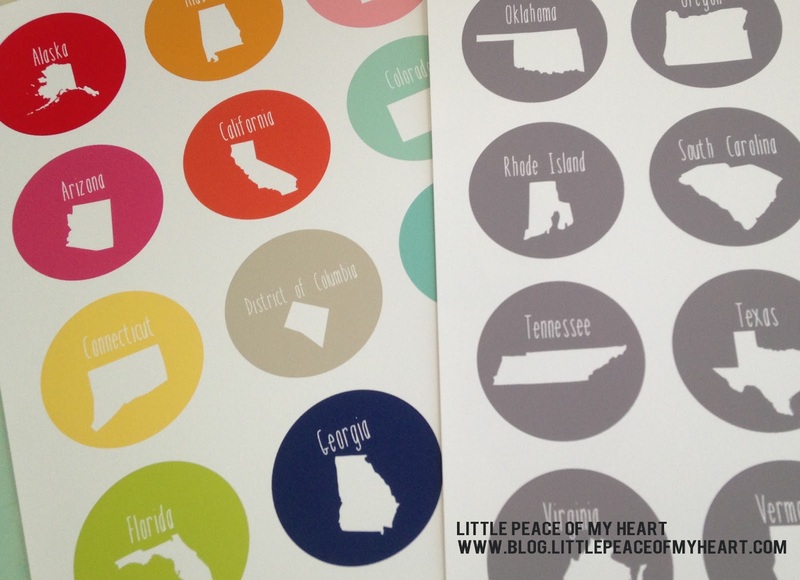 It includes the 50 States + DC - one set in assorted colors and one in grey. How cute would these be in your travel journals or layouts? Each circle is sized at 2.25 inches. They are super easy to use - just print them out and cut with scissors or punch them out using a 2" circle punch! Use them in your personal projects as many times as you want! Stay tuned for projects using these embellishments and some helpful hints for working with printables. Have a great weekend!